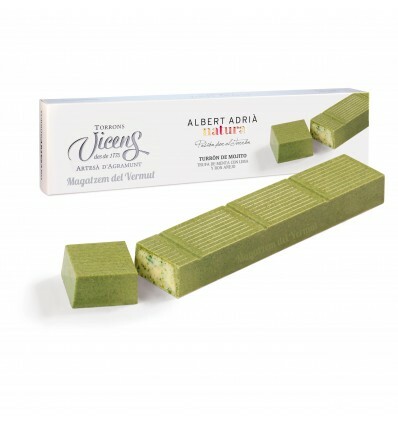 This Christmas we want to animate the table to all Magatzem del vermouth lovers and for that reason we offer this Mojito Nougat by Albert Adrià. With a mint and lime truffle that give freshness to this nougat and turn the touch of vintage rum that finish the play in the mouth to repeat again and again once the tasting. This Christmas we want to animate the table to all Magatzem del vermouth lovers and for that reason we offer this Mojito Nougat by Albert Adrià and Turrons Vicens.